At Jim’s Skip Bins we have a great selection of waste bins for all your needs. No matter whether you have green waste, renovation waste, household waste, concrete and bricks, dirt and sand, or other form of waste, our waste bins are great for all these materials. We can even take away your old mattresses and car tyres for a small extra fee. At Jim’s we offer great prices and a flexible hire term. That means that you tell us how long you want the bin for. Don’t pay extra for time you don’t need, at Jim’s we work with you to give you the best pricing plans possible. We work harder to ensure that our customers are getting the best deals around. We know that we have the best bin prices. Jim’s Skip Bins is the name you can trust. 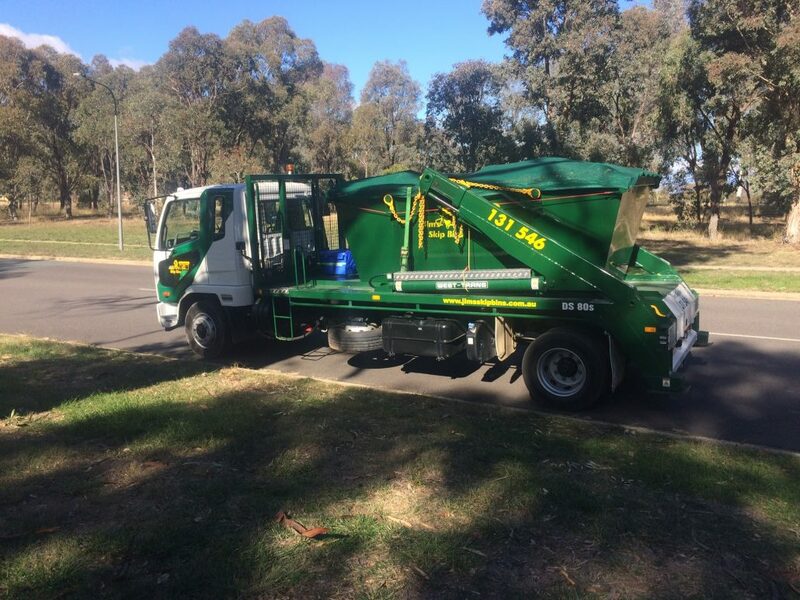 We are part of the world famous Jim’s franchise group, meaning that you know that when you get a bin from Jim you are going to get a great deal and you are going to get service that is second to none. Don’t sacrifice price for quality, we deliver on both fronts. When you get a waste bin from Jim’s Skip Bins you will get a high quality bin, fantastic service and a great price, we are the total package. We are so confident of our service that we back it one hundred percent. What this means is that if you have any issues whatsoever we will do everything we can to sort them out. We aim to be the best waste bin hire company in the country and that means making sure that every single one of our customers is totally satisfied with our service. Call us today to get a quote, we are the waste bin specialists. Jim’s Skip Bins the skip hire professionals are the answer to your woes. 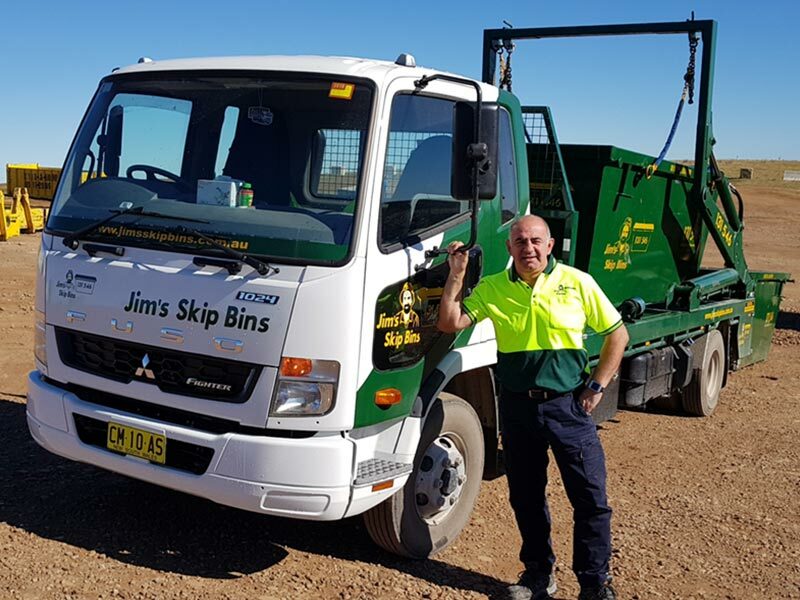 With nearly 3,500 franchises for skip hire spread all over Australia, backed by the reputed and reliable Jim’s Group, we can satisfy your needs. A skip hire from us will limit your worries to your doorstep and you just fill it up with all your waste and call us, we will take it from there with no worries or responsibilities on your shoulders. With nearly two decades in the waste disposal business Jim’s Bins the skip hire professionals have successfully disposed off thousands of tons of all types of waste responsibly. Having earned the respect of environmentalists and council members, skip hire from Jim’s Skip Bins will always strive to uphold it. We will provide you with a “no obligation quote” within ten minutes after you call for a skip hire. We will carefully assess your requirements whether big or small and advice you on the appropriate skip hire. Disposing waste of whatever form, is a very difficult and unpleasant exercise. With local councils promulgating very strict laws, on the proper disposal of every type of waste we need to adhere strictly, or we could find ourselves in serious trouble. Skip hire from Jim’s Skip Bins will allow you to dispose your waste without any hassle. We will take the responsibility to adhere to all local council by laws and a skip hire from us is just a call away. You can select the required size as per your requirement when you skip hire from us. Knowing what you need is very important and we at Jim’s Skip Bins are adequately experienced to provide the right skip hire, when you call us. The correct skip hire will give you the peace of mind to fill it up at your convenience and have it collected for disposal by us. Skip hire easily provides you an appropriate and large container to dispose waste quickly, efficiently and responsibly. Skip hire from Jim’s Skip Bins is the answer to your waste worries. Skip hire from Jim’s Skip Bins are available in many sizes. Skip hire sizes come in 2, 3, 4, 6, and 8 meters. They are 1.6 meters in width and 950mm in height. The advantage is that skip hire from Jim’s Skip Bins will give you flexibility in many ways. You could skip hire for periods of a day, week or month. Skip hire from Jim’s Skip Bins are all insured and guaranteed, and conform to local council by laws. Skip hire from Jim’s Skip Bins absolves you from any unforeseen or unexpected calamities whilst in transit, or within your premises. Skip hire from Jim’s Skip Bins are also available with drop down doors. These dropdown doors provide easy access to load waste. So next time you have waste to dispose of responsibly, call Jim’s Skip Bins for a skip hire, the professionals in the industry.